Well she said yes! I went to Denis with a very special ring to propose to my now fiance with. The ring was very old and in need of some tlc. From the very first greeting Denis showed true professionalism. His work is fantastic and his hospitality follows suit. He was able to not only have the ring done in very little time, he did so while working with me on price. As a fellow craftsman, I can say without a doubt that his work is second to none in the area. I will definitely be a returning customer. Thanks, Denis. Denis the Jeweler has designed one engagement ring, two wedding bands and restored two sets of vintage family engagement rings and bands for us and we have loved everything! 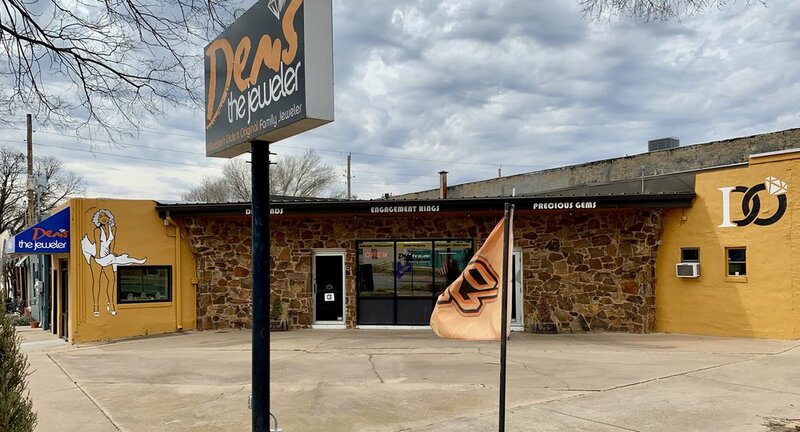 We highly recommend him for any of your jeweler needs! Incredible craftsmanship! I was heartbroken when I lost the large marquise shaped diamond from my wedding ring on a Friday afternoon. We searched all weekend and it was nowhere to be found. A friend recommended Denis and we honestly went to a larger jeweler in town because it was closer to work. No one was there that could help us and we both knew we were supposed to go elsewhere. When we walked into the shop and met this wonderful, honest, laid back second generation jeweler with a short grey ponytail; and glasses with jeweler lenses attached; in not so short terms he was awesome! He listened to us; discussed our options, and had diamonds for us to look at the next day! We chose the diamond; he ordered the set; worked late on Friday night getting it just right; and on Saturday morning 1 week and 1 day from when I lost my diamond I have this work of art replacement! I Love It!